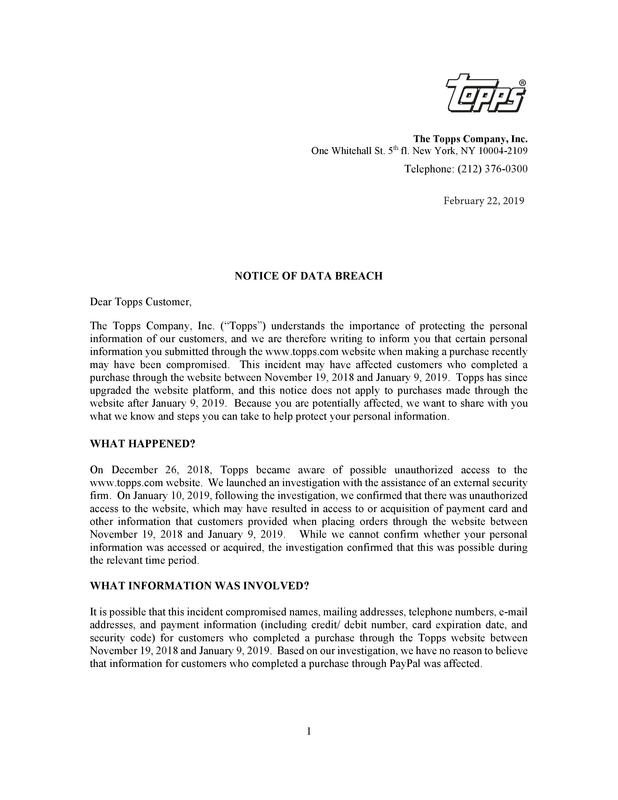 The golden boy of prospect geeks has some explaining to do! Vladimir Guerrero Jr. is seen throwing cards roughly into a large cardboard box during a Panini America signing session. 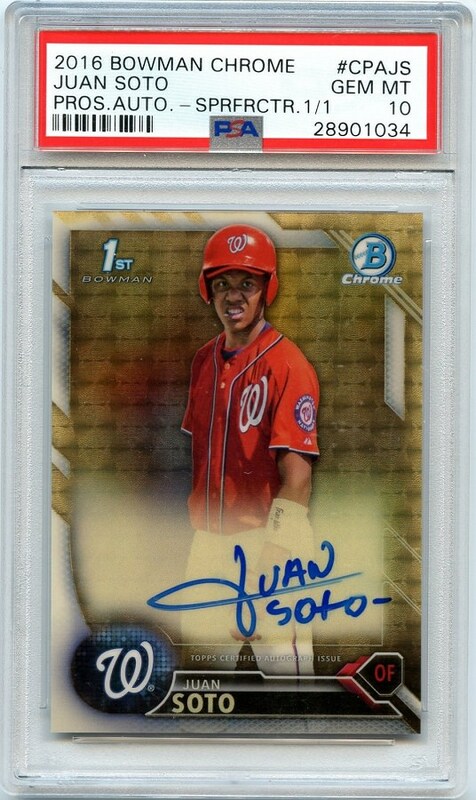 Someone took a baby wipe to the 2016 Bowman Chrome Juan Soto 1/1 Superfractor Autograph and PSA graded it a 10. 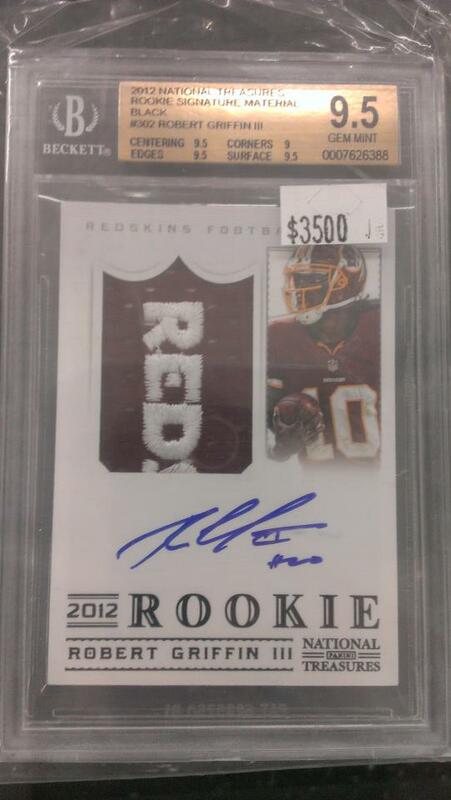 The card was originally evaluated by BGS, and received a 9 with a 9 autograph score. If you look closely, you can see the underline below "Juan" trails off the card in the BGS version. In the more recent PSA 10 photograph, the line has been wiped clean. 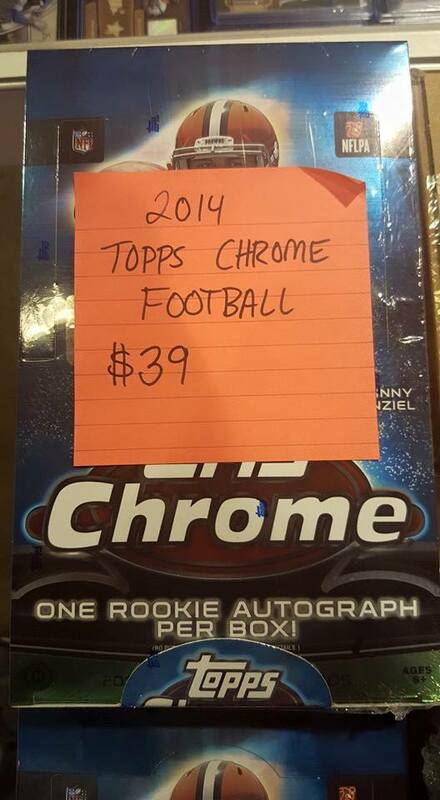 eBay seller Small Traditions mentions the alteration in the auction description. 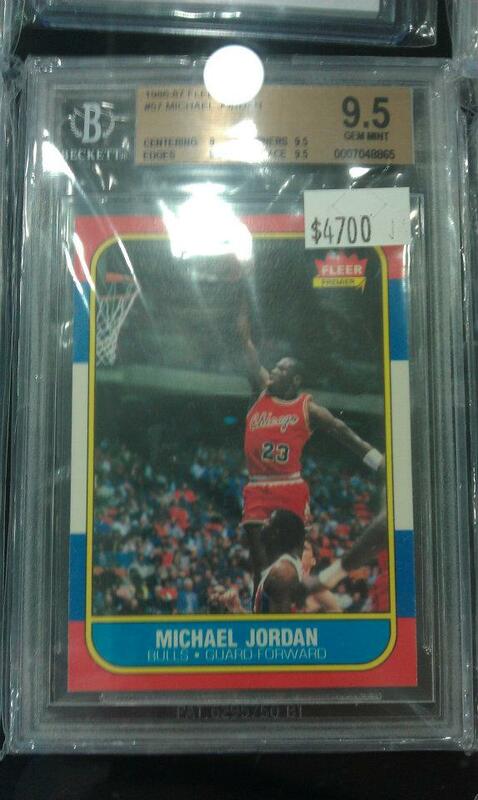 The seller purchased the card in the PSA 10 holder. 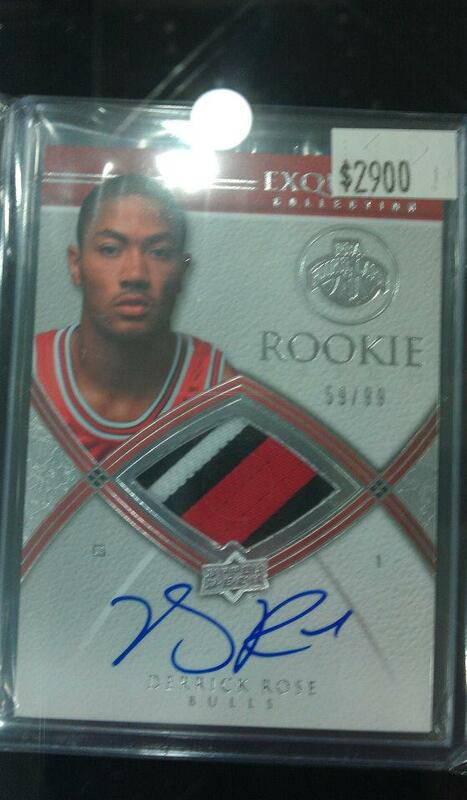 You can follow discussion of the card on Blowout Cards Forum. The 2018 National Sports Collectors Convention will be the 7th year in a row Sports Card Radio has attended. Here is a look back at some cards we’ve seen over the years and what they might be worth in 2018. 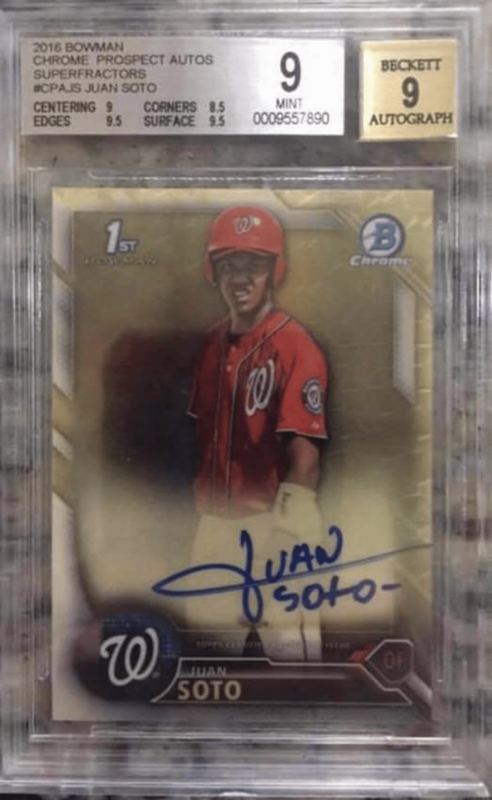 BGS 9.5 Jordan Rookie Cards tend to sell in the $6,000-$7,000 range on eBay as of July 2018. Rose won NBA MVP during the 2010-11 season. Since then, his game has fallen off a cliff largely due to injuries. 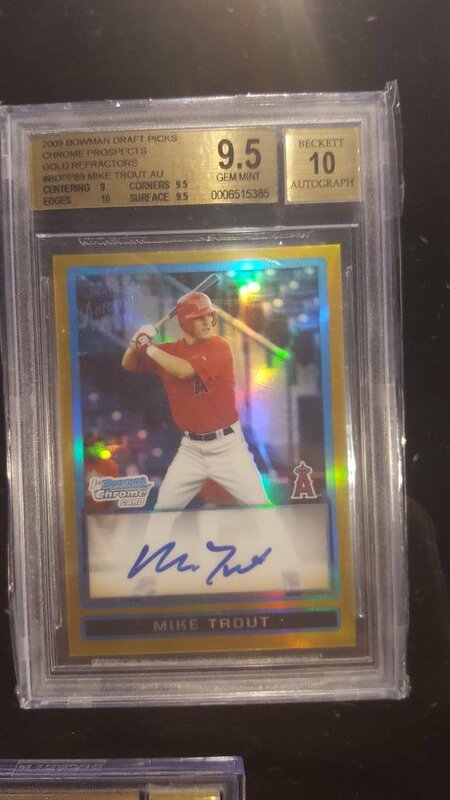 A BGS 9 version of this card sold for $804 in April 2018. 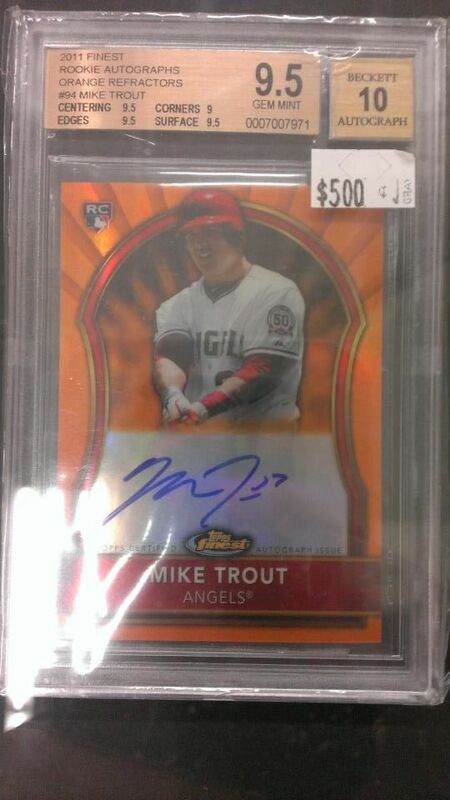 In 2018, several PSA 6’s have sold online in the $3,000-$4000 range, making this a great buy in 2012 even with no haggling. If you look around, you can find these for under $190 in 2018. 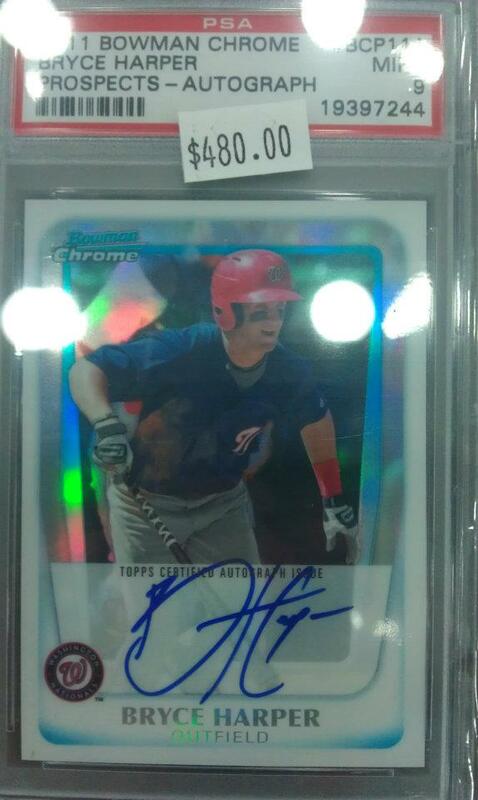 These tend to sell in the $500-$900 range as Harper has lived up to the 2012 hype. 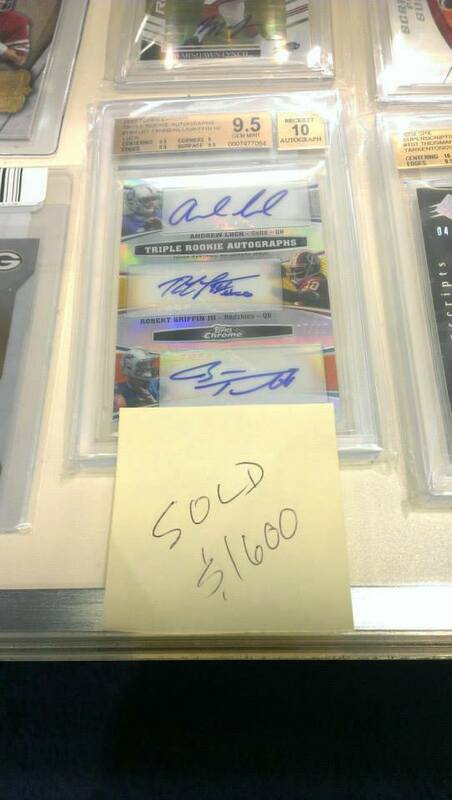 A triple autograph of this same group sold for $99 in 2018. Most people around the National don’t like to talk about their losers. Yikes. These sell in the $2,700-$3,000+ range now. 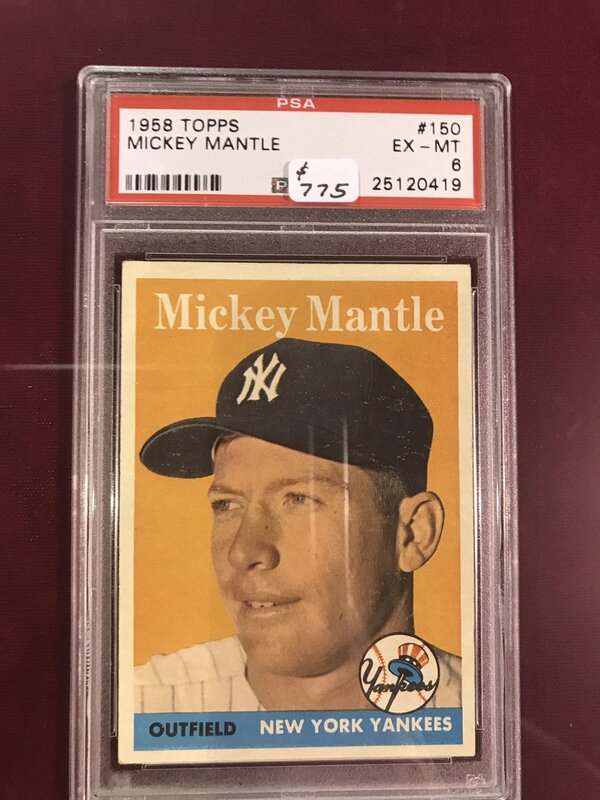 A PSA 10 sold for $69 in 2018. Weeeeeeeeeee. Some wax goes up in value, some goes down, some stays the same. 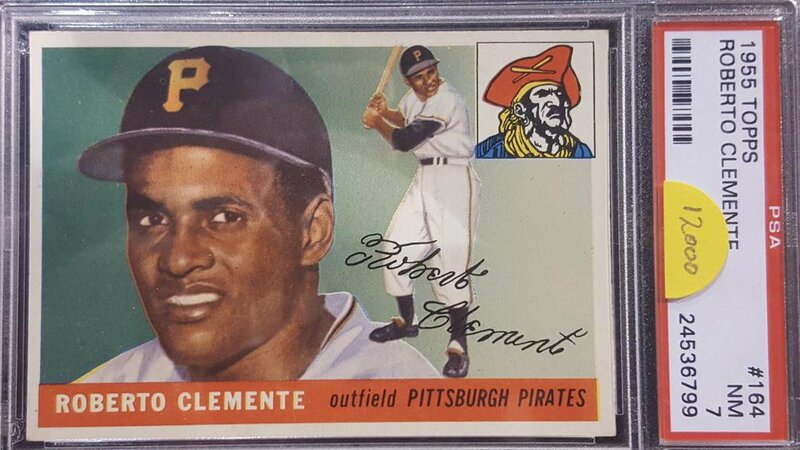 Thanks to the PSA Card Price Guide, you can see this exact same card sold for $13,200 about 3 1/2 years after I saw it in Cleveland. 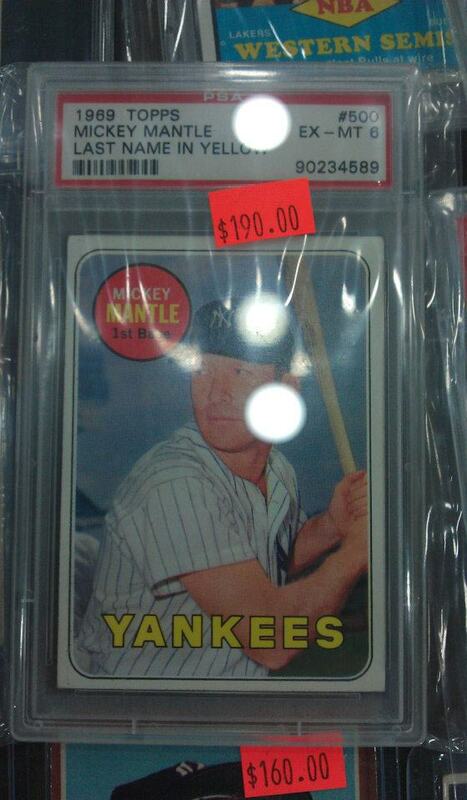 Current PSA 10 price: $80,000-$100,000. 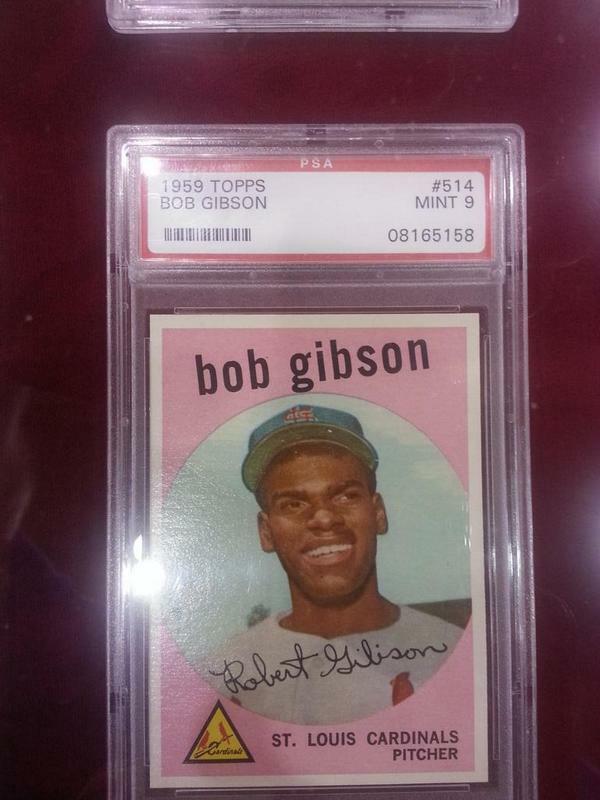 A BGS 9 reportedly sold for $250,000 in February 2018. Gulp. I need to sit down. 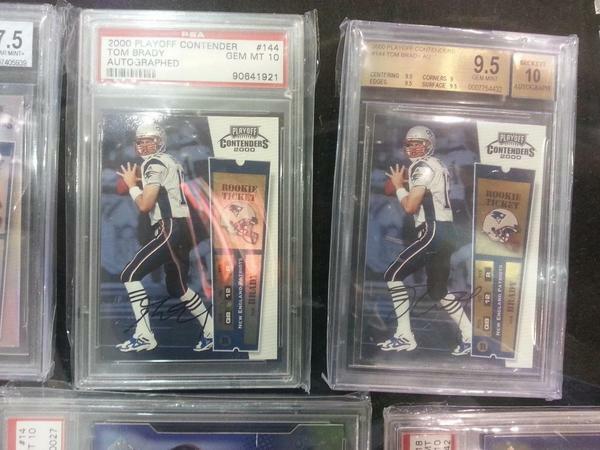 Since I saw these cards in 2014, Tom Brady is 2-1 in Super Bowls and his legend has only grown. Despite the 2018 Stanley Cup win and Ovechkin’s legendary tour after, this card is probably still worth around $7,000-$15,000. Even autographs that have been certified by JSA or PSA of Nirvana songwriter Kurt Cobain may not be real. There are examples of “certified” Cobain autographs that are thought to be forgeries. Cobain was only famous for a brief time in his life, during which he remained largely out of the limelight. MTV played Smells Like Teen Spirit over and over to drive album sales, while Cobain dealt with drug addiction and the weight of his new found fame before committing suicide in 1994. 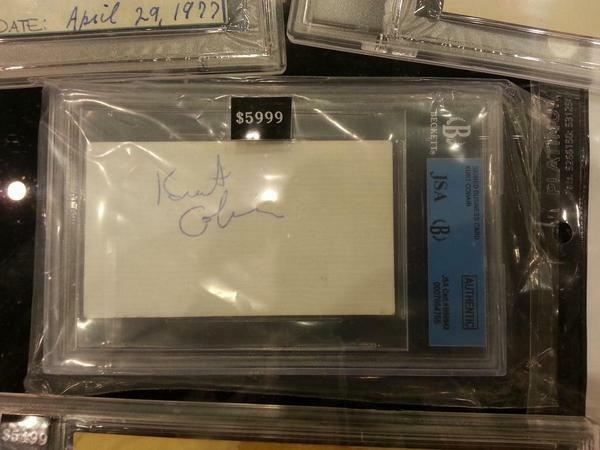 Authentic autographs of Cobain are hard to come by, hard to prove, and are getting more expensive by the year. If authentic, $6,000 for this signed business card would be a steal in the long run. The hype around the 2014 National was that LeBron James was returning to Cleveland and Johnny Manziel was a rookie QB for the Browns. How things change. 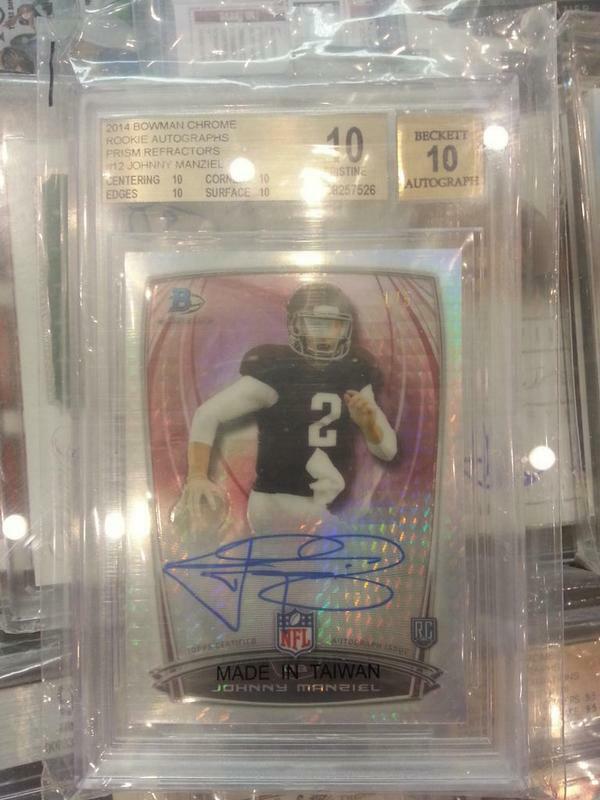 Hopefully this dealer sold this Manziel card. Today it’s mostly likely worth less than $100. 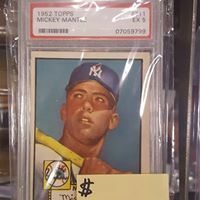 PSA 10 versions sell for $150-$255. 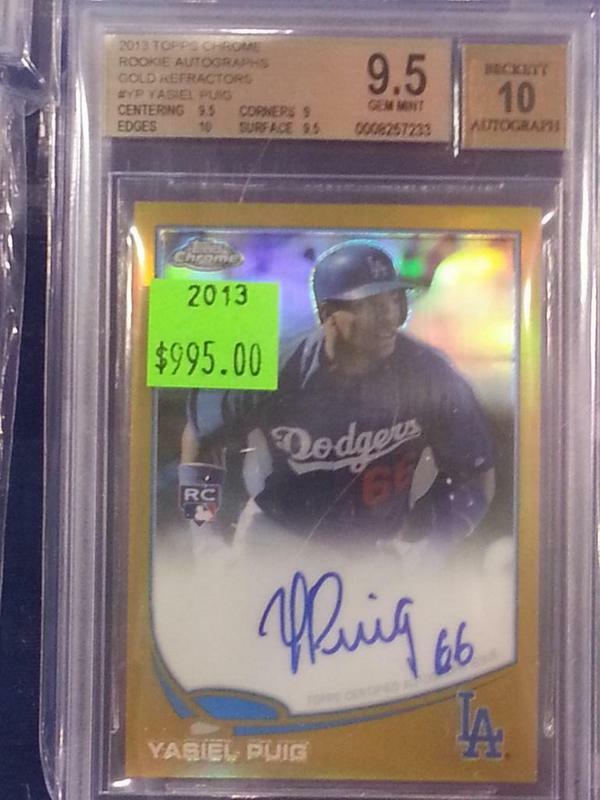 A lot of people wasted money on Puig cards in 2013-2014 but nobody really likes to talk about it. 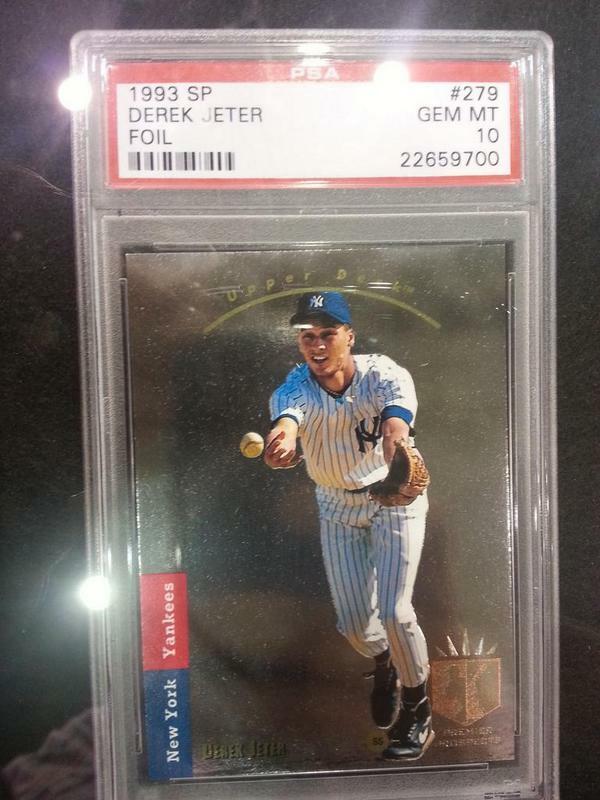 ESPN wrote a story on May 25, 2018 how a PSA 10 Jeter Sp RC sold for $99,100. 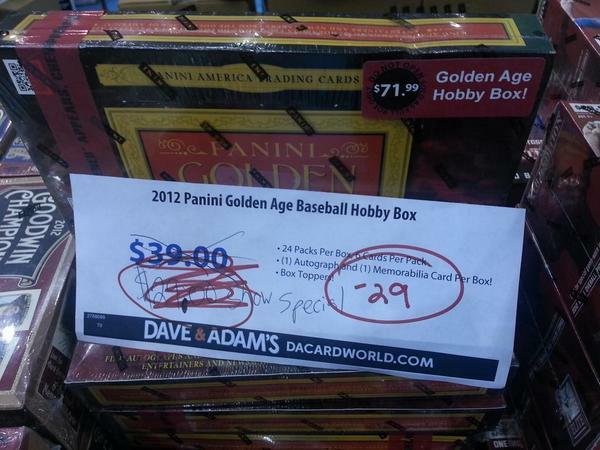 I’d seen these as low as $25 at some dealer tables around this time, boxes in 2018 now sell for about $90. 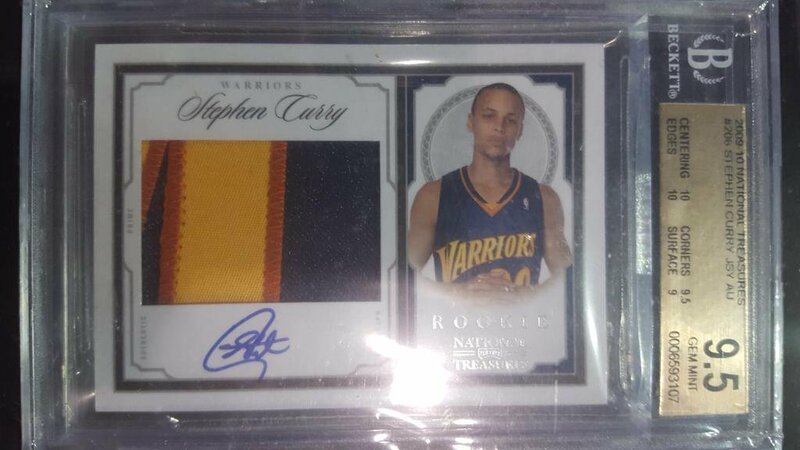 Curry continues to be a beloved player, one of these could cost you over $20,000+ today. These can fluctuate in value a little bit, but you should be able to snag one for about $6,000. The 2015 price is pre Vegas (he recently moved to Mexico) Dave. Expect to pay at least $40,000 for one today. 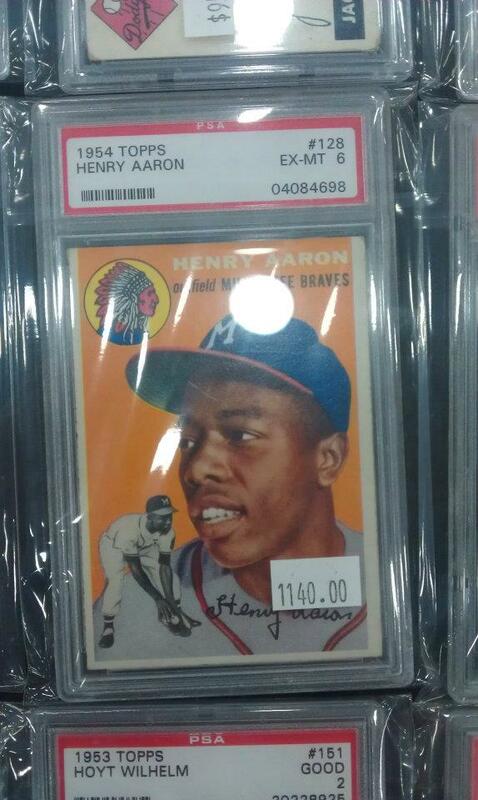 In August 2017, according to the PSA Card Price Guide, this same card sold for $65,499.95 on eBay. 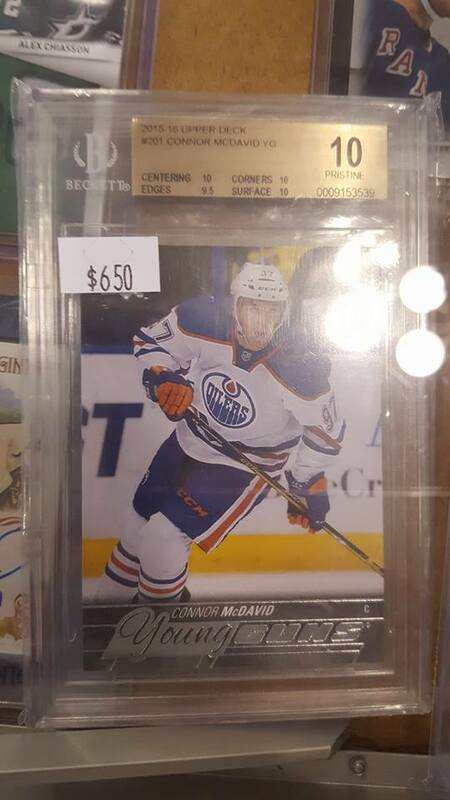 McJesus Young Guns in BGS 10 condition can sell for over $1,000+ in 2018. If you look around, you should be able to find one for about $600 in 2018. 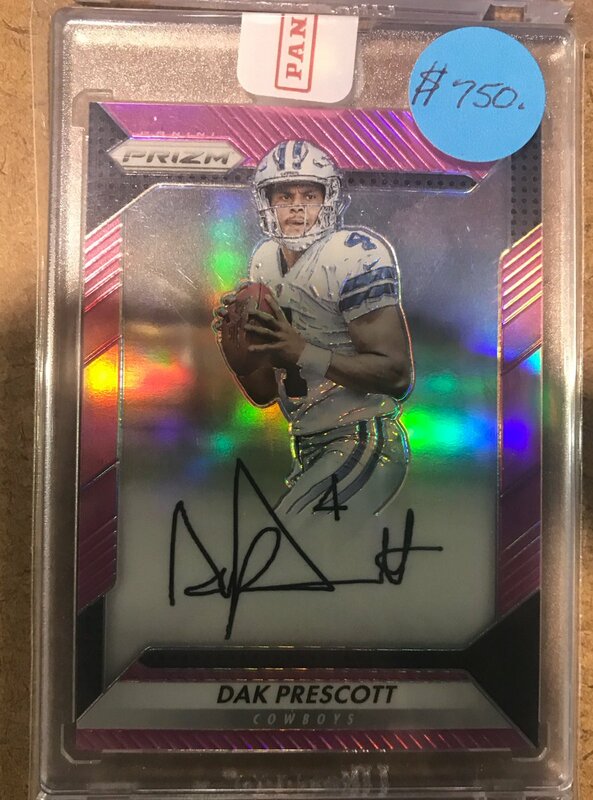 This is one of the infamous Dak Prescott Autopen Cards. Not sure what it’s worth today, it might be priceless.